Your privacy is important to us and we take every precaution against misuse of your information. 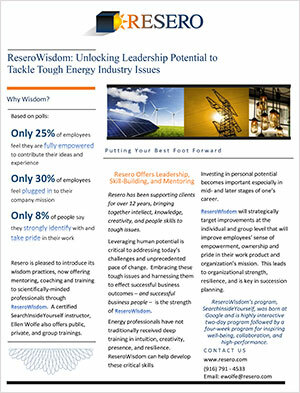 The vision for Resero arose out of our commitment to removing barriers that hinder the restructuring of electric utilities and the realization of its benefits. No personal information is collected or distributed.